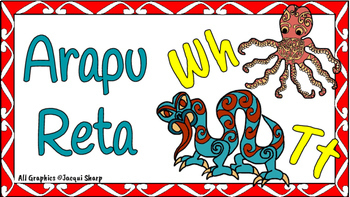 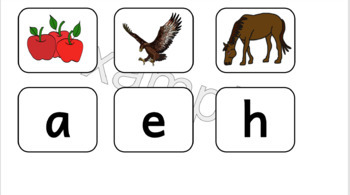 The Maori Alphabet ‘Arapu Reta’ Alphabet cards are designed to be used digitally on a computer as part of a teaching and learning lessons and/or downloaded, printed out and laminated. 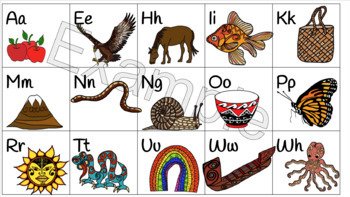 The 15 individual letter cards once laminated can be written on adding more words. 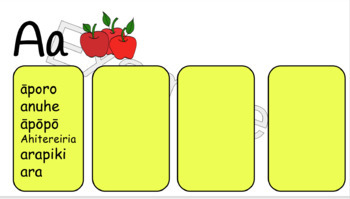 The 5 pages of individual letters and pictures are designed to be laminated, cut out and used for matching letters and pictures.